Finca Montimar (Chio) 25 miles 35 min. Finca SanJuan Batista 25 miles 35 min. Finca Alcalá 23 miles 25 min. Villa Andalucía (Chayofa) 10 miles 15 min. 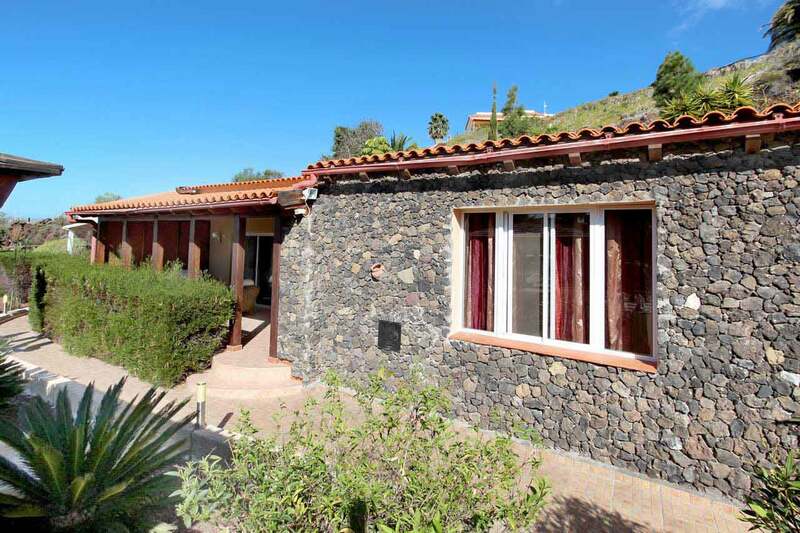 Cottages, fincas and apartments in rural Tenerife to rent from private owner: Individual holidays with guarantee for sun in a tranquil setting. Your request will be checked with our booking data in real time, so availability status is up to date. However, availability can change during your request due to unreviewed offers. We recommend to book directly (check the mark in our contact form), not just to request. The final price includes towels, bath gowns, bed linen and final cleaning, and, if applicable, any discount or additional charge. Please give the number of children up to 6 years Children up to 2 years: Baby bed and high chair 40€ for the whole stay. Children up to 6 years: childrens bed and high chair 10€ per night. If you would like to have your children accomodated in their own room, please make sure, the number of bedrooms fits your needs. Each additional bedroom will be charged. 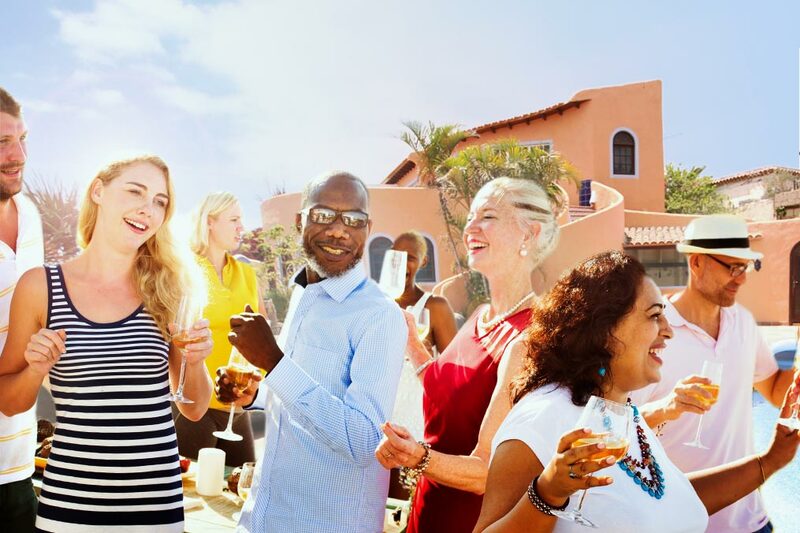 Carefully selected, in the most consistent climate of Tenerife (sunshine guaranteed), far away from mass tourism lodging and packages we offer vacation rentals for self catering, which are tastefully furnished and high quality. Like travelling on your own? Love individual accomodation and self-catering? 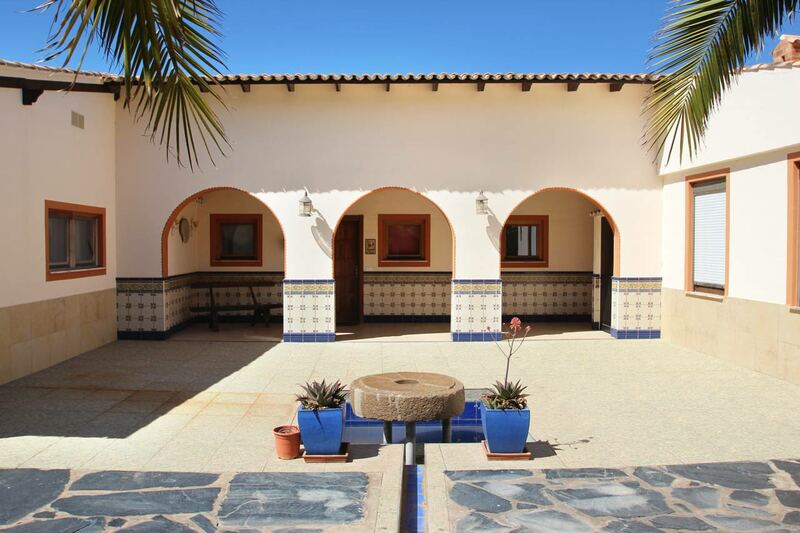 Stay with us at our tranquil estates, most of them fincas, which are former farming properties, rebuilt in high standard for an extraordinary holiday experience. 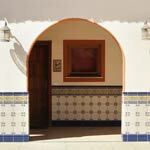 We own more than 20 exclusive apartments and cottages located on a finca. 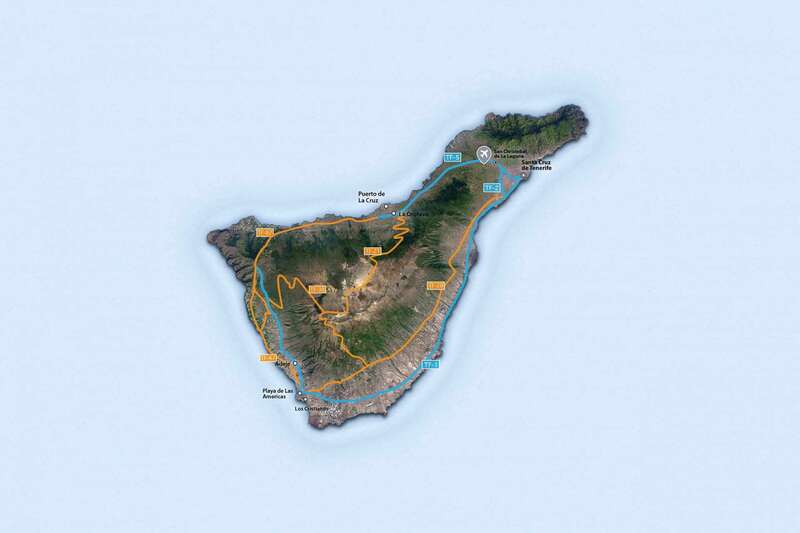 Tenerife is a hiking paradise, whether in the north or south or east or west. Due to the mild climate and the many hours of sunshine, hikes are possible throughout the year. 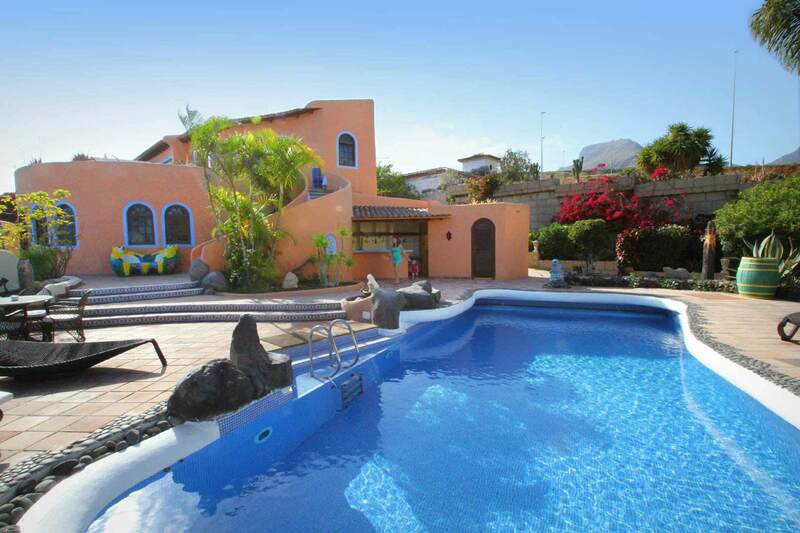 Finca Montimar located on the sunny Western part of Tenerife (11.000 qm in size). It has a quiet rural surounding contiguous to the village. The compound has ten individual appartments from cosy to manorial, perfect for relaxation under the sun. A special highlight: in addition to the sportive activities you can enjoy the heated indoor pool and a wellness area. Finca San Juan is a finca resort with only a few units to rent, situated above "Playa San Juan", with high standard equipment. 5 kilometres from nice beaches, only 10 minutes to the golf courses in the south. 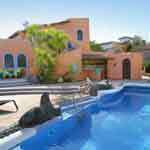 The Finca Alcala (10.500 qm in size) is situated on the sunny Western part of Tenerife. It has a quiet rural surounding just at the edge of village. Each of the six units is equipped with great interiour and has a terriffic view of the Island of La Gomera and to the sea. 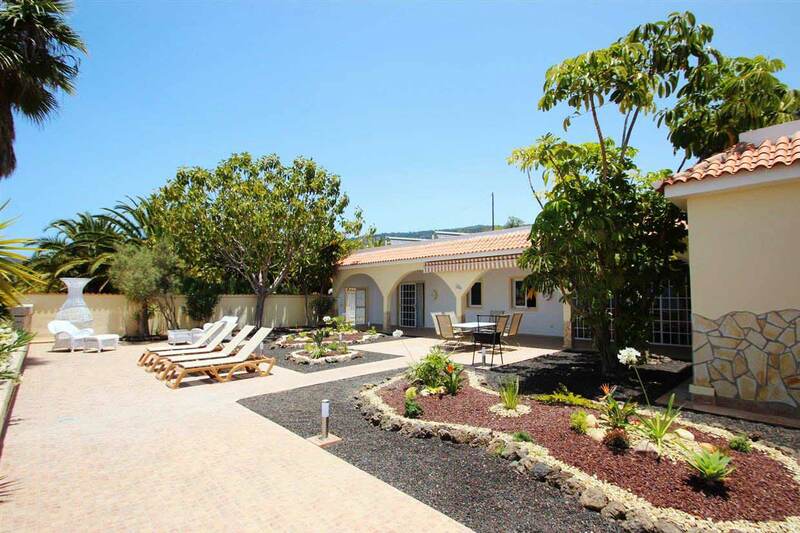 The Urbanisation Chayofa is an exclusive village adjecent to the famous tourist center Los Cristianos. Villa Andalucía is sourunded by many other villas. The compound has a private Pool area and has a fenced garden. 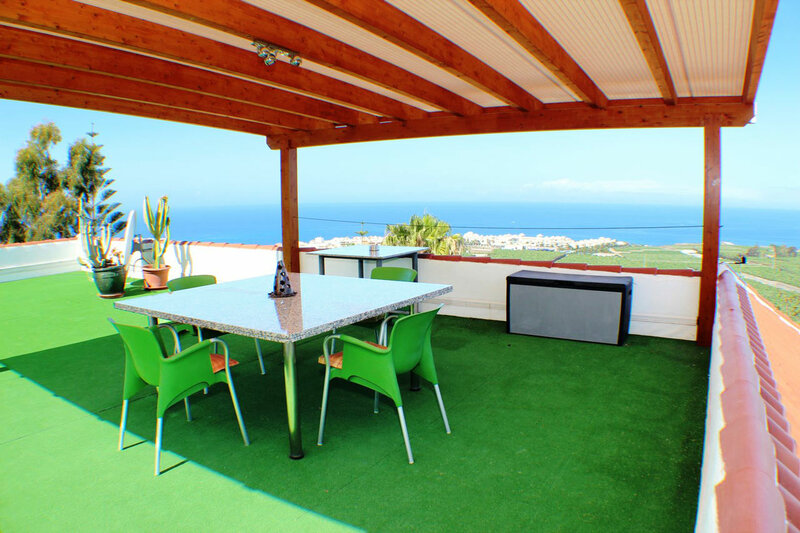 Enjoy the wonderful view over the Southern Coast of Los Cristianos and Playa de Las Americas until the Atlantic Ocean. Loud party business not acceptable, please do not disgust neighbours. Silence is demanded from 1 to 3 pm and from 10 pm all night long. You will be received personally and will be introduced to your apartment and all the amenities. During you entire stay we will be happy to help you out with any questions or needs. All apartments are equipped with bath robes, towels, Internet W-LAN, German-Satelleite-TV (on demand we will tune to English Channels), a private- or collective swimming pool, private cook and catering and many more, to make yor stay become the best weeks of the year. We are pleased to help with your travel plans, incĺ. Car rental, excursion trips and other activities, wether it may be in the village where you stay or anywhere on the island. Our Fincas and villa are suitable for travelling groups up to 40 people. 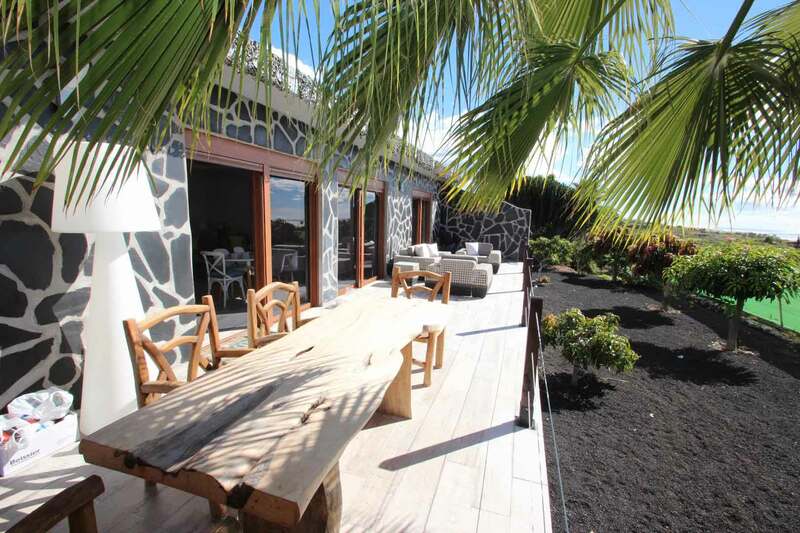 Find your perfect place to stay near golf course in Tenerife south or west. 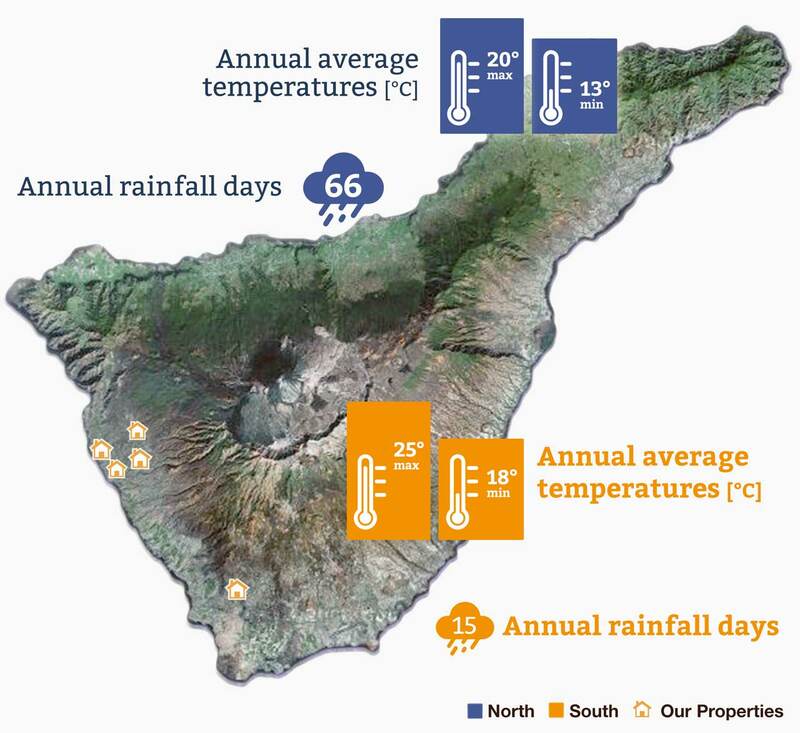 Facts on the famous climate in Tenerife south.